The term Mulatto can trace its origins to the Spanish and Portuguese word for mule, and in the past, was used to describe persons of mixed decent (making allusions to the fact that they, like the aforementioned animal, were of a hybrid breed. ) While this word soon became synonymous with individuals who were of one particular mix, (half black and half Caucasian), it is no longer present within contemporary vernacular, as it is deemed politically incorrect and in bad taste. I learned the negative connotations associated with this word accidentally when, in college, I referred to the head of Fraternity and Sorority affairs as "that tall mulatto guy." While at the time I found this slip of the tongue quite embarrassing and was compelled to apologize, I have since grown up and can now say whatever the f**k I want. No Offense. Now that all niceties have been left at the door, I add yet another moniker to my extensive list of nicknames, and christen myself "America's Favorite Mulatto." While I know a lot of you are saying "ni**a, you aren't even mixed! ", I compel you to shut the f**k up and let me explain. Having made the all but cliched transition from the streets to the boardroom, I have come in contact with a variety of people of different ethnicities and walks of life. 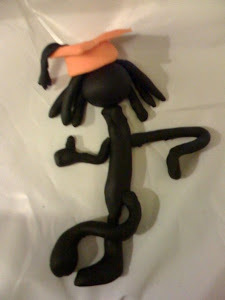 This being said, I am probably blacker than your favorite rapper and whiter than your favorite person with good credit. Yes, I could've said blacker than Dr. Cliff Huxtable and Whiter than Amy Winehouse, but I like to ruffle feathers...and i like to keep it real. Being the 1st black president of a predominantly white Fraternity, (that's right, I was the Obama ni**a! ), I learned a few secrets about the Caucasian race that I cannot help but share with my African American brethren. Don't worry white folks, I have a plethora of negroid secrets for you too, as knowledge is like a stripper's legs...only good when being spread. Few would doubt my assertion that Michael Phelps is indeed the sh*t. That aside, swimming is cool because it gives you a full body workout and an excuse to stare at scantily clad Chickenheads rockin more two pieces than KFC. Ye dig? Swimming also opens the door to a realm of other cool white things to do such as scuba diving and snorkeling, which, in the post Jaws era, seem pretty f**king cool. 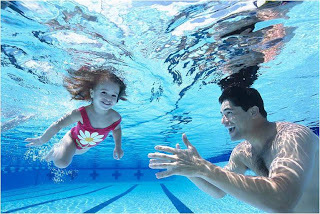 Don't worry about drowning as a few swimming lessons can take care of that, and your hair can always be 'did' later on. Give it a try...wash away the impurities and contamination of the working world by making a splash in the pristine chlorine paradise of your local econo lodge's pool. Trust me, you'll be glad you did. Not only will you not have to stop what your doing to take a piss, but you'll be better equipped to get away from pirates or the police, should you ever need to swim across the border like our good friends the Cubans. Let me first start off by saying Prosciutto is indeed pork, and is often served with melon. Kinda ironic that most black folk don't even know what it is despite our love of swine and the semi-true stereotype that we love watermelon. While I in fact hate watermelon (referred to as Ni**er apples in the pre abolitionist era) and all that they stand for, I would be a likely candidate to check myself into hog heaven and partake in the endless buffet of delectable swine. 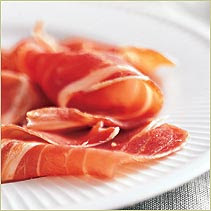 For those of you not 'in the know', prosciutto is a type of cured ham which although expensive, is extraordinarily delicious. Yes, it costs more per pound than a pack of cigarettes or three white T-shirts at Footlocker, but in the end it shows that you have both a mature palate and a touch of class. Just because you're a little rough around the edges doesn't mean everyone has to know...Next time hit them with the old 'okie doke' or '52 fake-out' and let them know that you are as sophisticated as Brittney Spears's baby daddy. LOL. Grab a platter and serve this thinly sliced delicacy with your choice of garnish (do not include spam, Vienna sausages, government cheese or slim jims). Unless you are Muslim or a vegan, you need to try hop on this bandwagon, no homo. Prosciutto...It's like the white man's pork rinds. I will be the first to admit that I like California rolls, however, I am aware that they do not truly contain any raw fish (aside from the whitefish which make up the concoction of imitation crab meat), and can often be viewed as fake sushi. In actuality, these 'rolls' are exactly that...rolls. Not sushi. 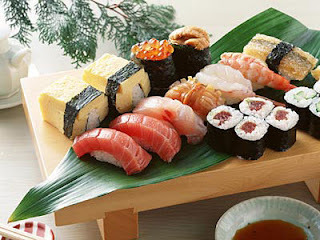 Sushi is the term used for slices of raw, sushi grade fish served over a bed of the traditional Japanese vinegared rice (sashimi being this fish served without the rice.) If you simply are not into fish, that's cool, but if not, you should broaden your horizons and palates by trying new sushi combinations. Yellowtail, Tekka Maki, octopus, eel, and spicy salmon all contribute to the cornucopia of health conscious yet delicious Japanese food, while fried combinations such as shrimp, chicken and sweet potato tempura cater to the ni**a in you. No offense. Give it a try...white people have been doing it for centuries and they seem to be doing aiiiight. Now maybe this is the fraternity boy in me (wow...NO HOMO), or maybe it's just my hood tendency to take advantage of a good deal when I see one. 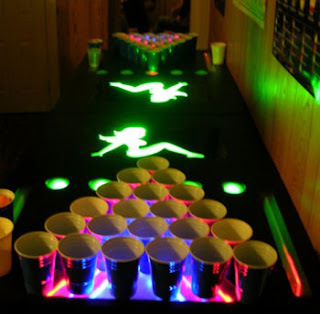 With Beer for beerpong usually being provided by the host, this is a fun and inexpensive way to get drunk, socialize with pretty white women, and showcase your competitive nature. Many a fine friendship has been formed at the beerpong table. How do you play you ask? Simply by shooting ping pong balls into the other teams cups. You make it, they drink it. Pretty simple and self explanatory. Think its extremely unsanitary and juvenile? It is...But B**ches like it. Also, putting your lips, (no homo), on one of these dirty cups may still be a better alternative than using them on some skank who has had god knows what in her mouth since before puberty, and who would probably consent to a pre beerpong gangbang if free coke was involved. This being said, I'd take my chances with the cups. Becoming great at Beerpong (aka Beirut) is as useful a skill in Caucasian-African American interaction as is talking about the Red Sox and Yankees. Beerpong...it's like golf for young people. If this idea sounds at all strange to you, it should. Not all, but many white people will go to a restaurant with a simple post meal practice which both simplifies and streamlines the bill paying procedure. If there are three people, the bill and tip are split equally...three ways. Rather than determine who had the Anti pasta salad or the Martini, you work under the assumption that you are friends and everything (over the course of many meals) will balance out. Revolutionary! 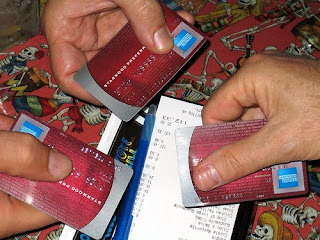 Now, before you go and try this with your hood friends I urge you to beware of the following pitfalls...If your friends all of a sudden begin ordering steak and lobster (or other things they do not normally eat) for a Tuesday lunch, these are not good candidates for non-itemized bill splitting. If you are out with a female, you should be picking up the tab (in exchange for some booty) and therefore should not employ this tactic. If your friends begin ordering extra dishes to take home for later, they are officially mega hood (and smart for exploiting this loophole in the process), but should probably not be asked out to dinner again. That being said, you should ditch them and get new friends. While the aforementioned comments may have appeared racist or stereotypical towards both Black and white people, I view them as anything but. Cultural diversity means more than various races and ethnic groups sharing the planet in a separate but equal manner. What diversity means is exploring each other's worlds and taking advantage of what each participant has to offer. This, my friends, is the key to social and racial harmony and equality. Trust me, I'm a mulatto. Am I the only one who noticed that Alex is 5/5 on 'stuff white people do'??? I have been trying to prove this for years...thanks for doing it for me. On a side note, I have determined that (putting aside my indian fetish), I am clearly more black than Indian, evidenced by being perfectly comfortable in New Haven, St Thomas, Alex's basement (sans Hitler jokes), but being totally scurred (do we still use that word..hah) in suburban Edison, NJ (aka the Indian capital of the West). 1) "Sushi is the term used for slices of raw, sushi grade fish served over a bed of the traditional Japanese vinegared rice (sashimi being this fish served without the rice.)" Half right says this full-white: Sushi means the vinegared rice itself, with or without toppings/fillings etc. What you just described is chirashi, which is the 3rd main type after nigiri and maki (and, to a lesser extent, uramaki, which most of our Western concoctions are), and right ahead of inari (which actually should appeal most to American tastes... So, saying "sushi rice" would be a bit of a necessary redundancy in English (oddly, in Japanese too?). 2) What I find the most offensive (and slightly puzzling?, from a socio-orthographic perspective) is the inconsistent capitalization of "b/Black" vs. "white". Still, although I prefer these neutral terms (i.e. Crayola-y) to political terms liked Hyphenated-Somethingan, I'm not about to suggest we revive terms that evoke images like the Yellow Peril. 3) Finally, see the full list of Stuff White People Like for more ideas on how to lampoon our nonmelaninic asses. haha. Don't worry Wizzy. Stuff Black people like is tomorrow. And thanks for the sushi clarification...You Japanese pimp, you..